Has Bruce Finally Seen the Light? AVFC | Aston Villa Life - An Aston Villa Blog and Mobile Site for iOS and Android > Aston Villa Blog > Columns > Clark's Call > Has Bruce Finally Seen the Light? Tuesday night, Steve Bruce taught all his critics a lesson by following their advice and picking an attacking side and formation. As one might have feared, it ended in victory. Despite the tears, Villans remained stoic and supportive. This commentator even raised his hand and gave Bruce credit for waking up and smelling the coffee, and perhaps reading this humble rag. Or any number of others. Yours truly also praised Ahmed Elmohamady’s assist on Bolasie’s goal. Now, of course I jest, and some will consider sarcasm a low form of wit. But. Steve Bruce actually grew a pair and put out an attacking team. No defensive midfielder as such. Two up top. Two actual “wingers” in Grealish and El Ghazi. Even if Grealish isn’t *really* a winger. Villa weren’t altogether dazzling and it was Rotherham. But it’s a start after five matches without a win. I’ll forgive Bruce Jedinak and Elmohamady given the good choices made elsewhere. As I said yesterday, the points puzzle and Bruce’s future depend on him bucking his Villa, and career, winning percentages. Perhaps, like the rest of us, he finally realized he has nothing to lose by risking a loss. Get sacked now, get sacked later. All the same to his bank balance. I can’t promise that the same team will look good on Saturday. I can’t promise anything but honest opinion. But I can say that I truly believe this approach is the path forward. And it actually made me wonder if Bruce was making the selections. The Grealish/McGinn dilemma was addressed to some degree by letting Grealish play wide left, with McGinn in a more central position (though he tends to drift left, as well). The other wing was manned by El Ghazi, a fast, strong, and skillful young player with something to prove. Even though he wouldn’t normally play on the right. Conor Hourihane came in to do the quiet job of keeping things ticking over that he always does to little adulation, and things were fine. Jonathan Kodjia and Tammy Abraham, meanwhile, gave the defense much more to think about. As a result, Abraham netted his first in claret and blue (as did Bolasie later). But this isn’t to say that RHM and Kodjia wouldn’t have likewise created more problems than Kodjia alone. What I hope happens is that Bruce gained some assurance that he can play to win—versus playing not to lose—and be rewarded. It’s also important to remember that criticism of Bruce has always centered on his cautious, defense-first approach. His often baffling substitutions (never mind their timing). His chopping and changing to mess with winning combinations. His reliance on “proven” over-the-hill veterans. Bruce is a good man. He stood by us over a tumultuous summer. He’s taken teams up. But football changes, like anything else, and Bruce’s philosophy is simply not progressive. It seems he has to be dragged or forced—kicking and screaming either way—to do something different. He’s always been playing not to lose. And that carries through to a side that, in terms of numbers and make-up, is much more offensively minded. So. Well done, Steve, for fielding the sort of side and tactics your critics have been begging for. Well done for recognizing your preferred way wasn’t going to win enough games to save your job, never mind keeping Villa in the hunt. As a Villan, I hope it continues. I’d very much like for Bruce to be a messiah if not *the* messiah. After all, he’s here and drawing a wage already. Just stop mucking about, put out a consistent side with a consistent remit, and let the chips fall where they may. Anyone can equivocate. Winners chart their own courses. I’d rather see a man dare and lose than see a man fret and lose. This entry was published on September 20, 2018 / John Clark. Posted in Aston Villa Blog, Clark's Call, Columns, Match Reviews and tagged "Anwar El Ghazi", "Aston Villa Football Club", "aston villa life", "Aston Villa", "Jack Grealish", "Jonathan Kodjia", "match review", "Rotherham", "Steve Bruce", astonvillalife, ”Tammy Abraham”. Bookmark the permalink. Thanks to Conor Hourihane, Villa came away with a point at the weekend, and one that left many supporters underwhelmed. Once again. There are folks urging patience. Always are. And, given the new faces who’ve yet to really be integrated, there’s still some argument for patience. However, I really have seen just about enough of what looks like ineptitude. And just one point about Bjarnason. When he’s come on as a sub he’s always looked up for it and has done well. But when you start him it generally doesn’t work. And what’s so very wrong with Whelan? Not ideal, agreed, but he’s not done much wrong and this season (when played) has not at all badly. Whelan and others arriving was – if you recall – all part of turning around the attitude of the club – bringing in players whose approach was professionally better. In the summer Bruce was hampered by the Villa’s financial state and hence why Elmo was on the wing. Green and Albert, sadly, have not performed up to expectations of late. But Bruce is now setting out his stall to get the team upwardly mobile. Bruce – as I’ve said many times before – is not perfect, but he’s not so bad as you lot suggest either! Positives can be seen in anything if you look at life a certain way. If you don’t look at life that way then you’ll tend to see the negatives. The basis of one’s viewpoint is as simple as that. JL – To be fair, JC and others (including me) have been on the fence for a long time with SB. If some of us find fault in his methods, why would it automatically be a case of glass-empty? Are we also not capable of looking at the facts and come to our conclusion about his follies. Sure, not everything should be laid on SB’s feet and I do agree players ought to take more responsibility. But there are definite decisions of SB that are strange which you are willing to let go and some of us aren’t. If we call that out, is it being negative or honest? Positives and negatives. Glass half full or half empty. Tuesday’s substitution of Abraham for Bree with 5 minutes left was pure Spud. We’re 2-0 up. Let’s batten down the hatches and see the game out. Play the ball into the opponents corner and run the clock down. So negative. OK if we are holding a 1 goal lead against Barca or small heath, but at 2-0 up against Rotherham? How about putting on and attacking midfielder to replace the most knacked midfielder and try and get a 3rd goal? That would be positive. A fair point, but I do think we all forget too easily that Bruce does not run the club, and we’ve just come out of a difficult summer, as the conditions were also difficult after several years of club mismanagement before Bruce arrived. These conditions have been part of the cause of Bruce’s approach, though I agree that does not explain all. I didn’t say that Bruce is perfect, but since it’s very difficult to get a Villa manager that’s anywhere near perfect why not try to get behind Bruce more – particularly as he is clearly trying to get the team on the front foot. I always try to see not just where we are now but what the potential is, and as I see it Villa’s overall strengths are much more positive looking than they were a year ago. But a lot of that has been set up lately with the latest signings. So, I choose to go with the flow and see what happens. If nowt is very agreeable in a month’s time then I’ll say you’re all right after all! People sometimes forgiet that Ron Saunders used to get a lot of punishment from fans when things weren’t going too well yet still ended up by producing a championship-winning side and did most of the work in getting Villa to European success. I’m not saying Bruce will produce the same, but I think he can lay a good foundation. Maybe Bruce was giving Abraham some rest, as he did Codger. Three games in a week are perhaps better played out with that fact in mind, and also Villa had not won in the last 5 matches. Giving Bree some minutes is not a bad idea considering the defence’s frailty sometimes. I think it depends on what’s been in the glass! Anyway you look at it [unless you’re blind with optimism], yes he’s changed the dressing room attitude, but not changed his own bad habits of trying to make players fit into places they aren’t comfortable with necessarily, rather than fit the way we play to what players we have. One of his constants seems to be trying to impose his philosophy despite there often being no need for it [especially in substitutions], which has also backfired regularly. The fans in general, & lifers especially, have been calling this out for a long time, many miraculously without vehemence. The main criticism from people I know, is that he saps the will to live with constant inane comments & unexplainable team selection & substitutions, & above all making the Villa boring. This is very wearing, & naturally we wish for something better [unless we’ve drunk too many glasses of course]. Indeed we might be doing better, but we also might be doing worse. But to suggest that Bruce has just seen the light about playing attacking football is a fallacy to my mind. It’s clear from the number of goal chances and balance of play in the first 5 matches (all of which *should* have been wins) I thought that Bruce was already taking the attacking argument into his heart. It’s all a trick to keep people’s hopes up and spending their cash. Villa will win the odd one just to make it not too obvious there’s some real mischief going on. BTW, haven’t you ever thought that Bruce’s style is a bit based on SAF’s approach? SAF didn’t do badly did he? We should all agree to go away and come back to compare notes in a month’s time. That’s what I’m going to do as from … now. Enjoy what’s happening – you may regret it otherwise! My glass is half empty when it comes to Villa, mostly with cider or whiskey so it’s not all bad, numbs the pain of watching Villa go thru Rotherham in second gear. But there were times it was half full in case you think I’m in a permanent Villa only depression. And thinking about perhaps I need to adjust my level of expectation when playing the likes of Rotherham to well if we win that’s a great result, a hangover from years of being in the first division when we use to beat the top 6 intermittently. JL, I expect that the reason we aren’t in the same boat as you is because we do focus on the mistakes, the missed opportunities and have a perception that when we play really well like v Wolves last year that we should be able to maintain a level near this, given the quality of player available to SB. We probably pick on you because you don’t analyse the negatives to figure out why things aren’t going right in any situation or over an entire game, fair play that your mindset is working differently however don’t dismiss the mindset of other fans in this group because of it, it does smack of superiority in terms of when you write for example ‘so here’s to when your glass is half full’. Smiley faces can be interpreted as cover up by attempting to make it jovial. There in lies a problem of interpretation that can only be bettered by face to face discussions, some of us may be searching for the answers that will make Villa great again, some of us may know the answer or answers and some of may not even be asking any questions but expecting professionals to be professional, regardless all opinion is valid especially when ALL (capitals for emphasis only) on here don’t deliver it as gospel and expect it to be questioned. Well done JC, I take my hat off to you, as your final comment on the last leader, and your leader here are excellently put. I think most of us here, when Bruce gets something right are willing to praise him, and say well done, but when he gets absolutely wrong we are going to say so. It may be that the looking for young and hungry is coming from the board, and not so much from Bruce, or why did he deliberately , and almost defiantly hold out for JT, to be told no in no uncertain terms from the board. If he had carried out the young and hungry policy, he would have signed McKenna in time for them to organise a replacement , and the deal would have gone through. Now we are having to hope that Stephen Caulker may be fixed and capable of playing. Does Bruce want to run the risk of another Ross McCormack, that he could not handle? Where I will give Bruce his due, is according to reports, that he was alone responsible for bringing Abrahams, Bolasie and El Gahzi to the club. He is now responsible for recruitment until the new DOF has been appointed, after the sackings of Atkins and six others. I also understand why he played Jedinak on Tuesday to combat the Rotherham attack, and that he will require a much younger and fitter defence against Wednesday on Saturday, so expect to see Bree and Tuanzebe in contention alongside Chester. we will never know what difference it would have made in the final if Bree, Bjarnason had played and Bruce had gone two up front, and as JC has said, played to win, rather than play to not lose….or lose….was it in Bruce’s interest to win, and then lose his job to a better manger, who would have been brought in???? Haven’t had chance to read comments from today and I apologise if I’m repeating anything someone’s pointed out. My point is the new owners came in and stamped their mark on transfers. What’s to say they didn’t tel Bruce that we want more attacking football ? I think it very likely because Bruce Has focused on getting those in to the detriment of defenders. If he can make it more than 11 good individuals being better than 11 organised average champs players is yet to be seen . The problem has been, and the consensus here is, that Bruce has not used the tools at his hand to play to the strengths in a strategics plan. Paul has made a more considered comment about the state of play and has commented on what I might hesitate to call the Bruce bomb squad as it seems to change from match to match – maybe a hand grenade squad? Yes JL , we are all (most of us anyway) picking flies in the selection and tactics employed as we have seen the opportunities to do well slip away. I for one do not think Villa as it exists today is a Premier League team and I do not want us to be another Hull or West Brom and bounce up and down the divisions for years to come. DO’R: “JL, I expect that the reason we aren’t in the same boat as you is because we do focus on the mistakes, the missed opportunities and have a perception that when we play really well like v Wolves last year that we should be able to maintain a level near this, given the quality of player available to SB. Let’s take the Wolves match first. You’re right, but players are human (we sometimes seem to think they’re machines) and I think that after that win (and a lengthy unbeaten run before it) Villa hust went off the boil – they, in other words, “peaked too early”. That’s probably not the entire reason, but I think it was a major factor. That’s not the first time I’ve said that. AQs to “focusing on the mistakes”, well I think that’s part of the problem. It’s all males talking on this blog now and all heavily using their left-sided brains! 😀 I suggest a bit more balance is needed. Yes, because I worked as a systems analyst and developer and project leader in the computer industry for over 40 years and know well from experience that analysis is only part of the story. Right-sided brain always brings you back into the centre of things. Analysis by itself is meaningless. That’s exactly the point here. 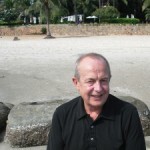 Well, my experience and study tells me that there is a superior way of looking at things, so though I *don’t* dismiss what others say, I do say “consider everything before making a judgement” – and that means using some right-sided brain thinking, which is often woefully missing here – particularly since Jenny departed from the group. And there’s no “cover up”. My emotis are there to state exactly my feelings as I write, so please don’t insinuate that I’m covering up. In your [the group’s] joint opinion. 1. Half the team moved on. 2. The club nearly went into receivership and Bruce didn’t have sufficient time to get a new (well funded) plan into operation. 3. 4 new midfielders/attackers does mean that we have to give it all time to gel. Yes, I have some sympathy with that viewpoint. But maybe (Bruce being more ‘old school’) thinks that – as with SAF – he doesn’t have time for players who don’t or won’t abide by what’s required according to SB. Maybe it’s to do with certain players being not professional enough in these (comparatively) lax days? Football has changed – sometimes it may be prettier, sometimes it may be uglier, and certainly the players (character-wise) are often – not always – not what they used to be. If – in SB’s opinion – the players are not shaping-up character-wise (and I suspect that’s the case) then SB’s stance becomes more understandable. 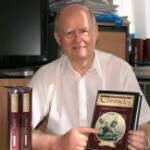 Points take JL – however you, in your alter ego as a systems analysis and mine as a research metallurgist know that any theory is as good as the proof that it is right. As to ” however you, in your alter ego as a systems analysis and mine as a research metallurgist know that any theory is as good as the proof that it is right.” … yes, but my experince has an analyst has been tempered by 40 years in the study of philosophy as well. My main point is that opinions should (ideally) be voiced after both sides of the brain have been consulted in balance. And – by the way – perhaps you know it’s now becoming recognised that the real brain is in the heart … not in the skull! The brain is basically a two-sided computer to work out what the heart’s impulses are saying. So far wide of the mark it’s in the next county. one point, quoting myself – Smiley faces can be interpreted as cover up by attempting to make it jovial. ‘The brain is basically a two-sided computer to work out what the heart’s impulses are saying’. Well let’s hope it’s an Apple! 40 years of studying philosophy should bring you to the conclusion that it is great for writing books, studying civilizations, and the development of the human race, but has little value in running a successful enterprise, against spending 40 years studying psychology, which is very relevant. If Bruce had received some psychology training during his life, he may have made a better job of handling his players, and had more success with them. There lies the biggest difference between him and his former boss, SAF, who had tremendous psychological understanding of his players, knowing when to throw the hairdryer at them, and when to put an arm round the shoulder..!! I actually do consult both sides of my brain daily, JL, and they seem to get on quite well. I’ve even been known to follow my heart, listen to my gut, and even check in on my toes to see what they’re telling me. For example, today seems like a good day for making books, doing some light ‘financial’ work on the P&L, then switching over to do some paintings, getting a little guitar time in, or doing a bit of work on the book (though I’ve not been entirely happy with where I’ve taken things, and four years spent working for a mentally unstable bully didn’t really help my creative energy levels). But today, toes seem up for it. Fingers, too. Brain is there, both halves doing their bit, for the most part. But really, to say I’m bringing a glass-half-empty outlook on life (or even just football) only shows you know nothing about me or who I am. That’s you making things fit into your boxes of right/wrong thinking based on a limited sample, a slice of the whole. I’d tell you I’m one of the most optimistic people around, but you won’t believe it, and you’d have no evidence either way since you can’t talk to my wife and children, friends or family, or fall back on any knowledge of my life, obstacles overcome, and whatever else. As you and other readers may recall, I looked for the good in McLeish and Lambert, and played devil’s advocate on their behalf. Looked for the best in Randy and then Dr. Tony. Defended many a player, including Gabby. Didn’t put Garde’s failure down to lack of vision. Thought Houllier did quite well, and understood the circumstances of his appointment. Thought MON brought an exciting period of football but got the spending wrong. And apart from Villa’s tendency to collect a large number of players that get sidelined, I’ve understood the spending or lack thereof. I was here watching Villa over the summer, and understand the window we had to negotiate deals. Did my best to understand the financial hole and FFP. Didn’t argue against Bruce staying on. I thought Compass had little choice, and it made sense. And you’ll see, if you want to, that I’ve weighed Bruce’s future squarely in the same cost-benefit context that business owners will. They may come to a different conclusion, but I’m trying to see it their way. Trying to see things Bruce’s way. Trying to see the views of supporters, both optimistic and pessimistic. I didn’t think we’d win through the playoffs because I’d watched every match bar two (holiday) and just didn’t see the requisite consistency, mental toughness, or lack of fear. I understood like many that we’d mortgaged ourselves to the hilt to get up and that a serious financial reckoning was at hand. Many have urged patience. Many have had no patience (anticipating the outcome based on prior evidence and events). I’ve been patient. I call a bad game or stretch of games when I see it. I praise the good things we’ve done. I’ve virtually always presented a pro-con to most things. And having found a way to watch almost every match over the last 8 or 9 years, I’ll wager I’ve seen more of the Villa than many. So if I draw conclusions based on that body of work, it’s hardly based on some dour predisposition, or improper use of my brain, or never having heard of the power of positive thinking, never mind employing it. 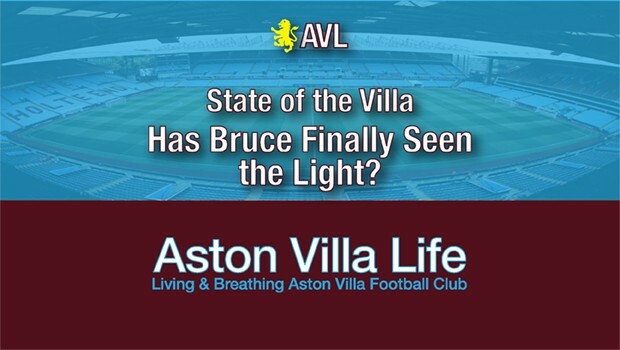 So…Bruce, or anything Villa? I’ll let my record stand. As long as Bruce is here, I’ll always hope he succeeds. If the owners go another route, I’ll understand why and thank Bruce for the good he has done for the club. I cannot control the weight of views held by people who choose to comment and discuss. If it’s “slanted” then it’s “slanted”. That’s the body of opinion being voiced by the fine folk who participate. I’m not going to tell people how to think or whether they’re doing it wrong. I’m simply going to continue voicing my opinion and allow any and all to come on and comment. And I’ve repeatedly asked for opposing points of view so that if those deemed to result from poor thinking/wrong outlook on life are in the minority, then the majority of right-thinkers can put things right and slant the comments to their liking. And perhaps inform or change my point of view. I see your point from a computer analyst’s point of view and also from a m etalurgists point of view. But, in my view of things both endeavours are coloured by an engineers vision. Everything tends to be black and white with a strict set of rules for the job. The way I see it (queue the tub thumping here) nothing about football is black and white. Just like the fire department’s approach to emergencies nothing is quite the same every day. Both sides of the brain are fully engaged ready to adapt to an ever changing scenario-usually at full speed. For example being told that someone is in a burning building when you think it is empty requires a change of thought,direction, and tactics immediately no time to dither. This is what football is all about, the ability to change instantly not to try an fit into a specific role as put down by the manager. Forcing Jedinak to play CB robs him of his spontinaty as does playing others away from a more familiar position. A hesitation however slight is created by the uncertainty of a different position regardless of them being professional. Hutton excluded ATM. When you have several out of familiar territory it robs the team and you see lobbed balls and crosses to no one in particular. Everyone on this planet has their niche and are comfortable in it. This gives them the ability to step outside of it and react to an impending problem. Make them second guess themselves and that reaction won’t happen quick enough or not at all. For me this is bruce’s failing the inability to play a more loose game and this plays on the minds of the team. Well, there we go again – the question of interpretation. If you were talking of western philosophy I would agree with you, but I was (I thought you’d know by now!) referring to spiritual philosophy, which very much includes psychology. Today’s psychologists are only getting to find what the ancients knew thousands of years ago in that field. Spiritual philosophy is utterly practical – and in fact its protagonists assert that the overuse of books in the subject is not a good thing. The matter is experiential, not academic. Well, yes – and no! As a team leader and also first line manager and then business owner (when I went independent) I was regularly called upon to assess matters from a much wider standpoint than what you suggest. Would zlatan Ibrahimovic have reached 500 goals playing for Bruce? Yes, your point and analogy is well put, but I do think that whatever Bruce’s decisions have been are a lot to do with the state of the affairs within the club. But as we don’t really know what goes on I just look to the present and from what I now see is the opportunity to go forward in a big way. So that’s why I’ll keep my tinder dry for another 4 or 6 weeks. I don’t doubt what you say about yourself – and your case no doubt applies to at least most others on the blog too. But to what extent does your 2-brain thinking go? I ask that because nearly all of what I see in this blog is based on analysis of what you have chosen to look in terms of what Bruce does – not whether there are influencing facts surrounding at least some (some, note) of his decisions. He has a lot of experience and (apart from anything else) some of his decisions could well be based on what mistakes he’s made before and doesn’t want to repeat them. On our part,, we assess him assuming that all his decisions at VP will be repetitions of what has gone before. BTW, my comments have not been levelled so much at you but the general tenor of the comments, when views tend to narrow from your leader and lose scope. You’re correct about hesitation. A long while back, Matt (Turvey) and I were talking into the night about the amount of time a player has to make a decision. Wenger was saying it’s often something like a quarter of a second. Put a foot wrong, think about letting the ball drop to feet…can all go wrong right there. So, as you say, predictability and patterns are essential. Players have to expect runners, when and where they’ll be going. Players have to know their outlets. A good part of why I think Hourihane is helpful is that he generally provides an outlet. Anyway, obviously the crux of “gelling”. So, you do expect some bedding in. You also want to scout and acquire players whose attributes fit into the side/system/tactics you’re employing so you minimize the time required. Abraham, for example, is the right kind of addition since he can get on the end of crosses, do some hold-up work, and also play on the ground. Fits with how Bruce tries to use a striker. Well done for standing up for yourself and all that you have done for this site. Never once have you let us down, wanted to walk away, and always presented extremely well thought out leaders and comments. I , for one, am so pleased that you still run this site, and I am sure it will continue to grow and welcome more people, who just want to have more to read on our beloved football club. It is good to see some more participation from everyone, and it is interesting that now on some of the other blogs, as more people put in sensible input the tide is turning towards a better level of discussion, rather than people just hurling insults at each other. I am now beginning to understand a little more about where you are going….or perhaps have been. The spiritual world is a very different place where people can talk in many tongues, can actually leave their body and transport themselves to different places. This is a whole different ball game, and helps me understand Steve Bruce a lot better, realising that some of the strange decisions that he has come to were probably from the voices in his head, or passed on to him by the spirits of the great footballers who have gone before. I tried it once or twice, but all I found was that these spiritual voices can get you into all sorts of trouble. I will stick with my experience of life and the qualifications in psychology which have brought me much success in life. Great debating guys. This site is an education. Long may it be so. If he doesn’t, I recommend Spud does log in to it and read what the lifers are thinking. It will help him read the runes. If he then still talks about “all the nonsense on social media” we’ll know for sure he’s only using one half (or even one quarter) of his brain. The spiritual world is what ever you want to make of it. I don’t see any rules in what you have to believe. Just ask any of the TV evangelists that rake in money from people who need a reason to live. I was simply indicating where spiritual philosophy has got me to take the line of thinking that I do. And my kind of philosophy has nothing to do with religious organisations. Can’t cover everything, don’t have the resources of some other sites, but I do hope AVL provides something worth reading and discussing. Wouldn’t be worth a hill of beans if it weren’t for the discussions…which I very much enjoy even though I can’t always participate as much as I’d like. I do consider it all…Which is why I thought McLeish fit the remit of working with limited funds (and was much abused for arguing his defense). He puts together teams that are tough to beat, and that was about all you could ask of him: steady the ship, keep us up. For the same reasons, Lambert tried to find hidden ‘gems’, but most of them didn’t come off. With Bruce, I’ve considered injuries (which haven’t be inconsequential), spending issues, pressure from Tony, the mood at the club, the expectations attached to Villa overall…It’s a big job. So, I don’t fault him for things beyond his control. And I didn’t expect us to get over the hump in his first half-season. However, he has had a large and talented squad to work with, despite limitations. I understand bringing in veterans to change the mentality and set examples. But, and this has largely been the current of criticism, I do think he’s been overly cautious. And I think he’s cautious by nature. The playoff final was a good example. Hot day, young opponent, lots of movement. That’s where you play a guy like Bjarnason because he can run all day and cover much more ground. Most managers and coaches I’ve ever seen in any sport tend to start out adventurously, and then get more conservative as the years roll by. They look at the percentages, risk/reward. Being questioned after the fact really does figure into their thinking, so they tend to make decisions for which they’re less likely to be criticized. So Bruce’s approach doesn’t surprise me, and I’ve seen it from a lot of coaches/managers. The question I’m asking, along with others, is whether he can change his ways. And I think he needs to, obviously, based on looking at the percentages the way I think he would (from what little he’s said). I’ve seen a lot of good coaches with much higher winning percentages sacked because they just couldn’t get over the hump. Sometimes it’s the right move, sometimes it’s a disaster. Tuesday was encouraging. The new players are encouraging. Now it’s down to how they’re set-up, what they’re told to do, and how much Bruce tinkers. My thinking is simply that Villa look best when the shackles are off and a consistent side is put out. And I think that if Bruce can resist his urge to pull back on the reins, then he can get better performances out of the side. What I’m less encouraged by are comments from Mitch Clark, Andre Green, and Ciaran Clark, indicating that we, in their opinions at least, don’t do a good job coaching up talent. Well, John (and this is *not* a knock) I doubt that many – if any – “consider it all”. There are always – in any topic – things that we don’t see or over-rule as immaterial. It happens to me and therefore I’m sure it happens to you. As for the matter of Bruce. I honestly stand by the position that I doubt that we could easily find an alternative who could properly justify the job at a club the size of the Villa. Successfully managing a smaller club can be one thing, but the scale of things can make it a completely different ball-game – literally. And also – it’s only 2 years since we were relegated, but not simply that but I honestly feel that it takes time for a club to pull itself out of the kind of downward spiral we were in. Whatever others think, I believe that Bruce deserves more of a pat on the back … unless he shows over the next month that we’re not getting anywhere. But I feel that he’ll succeed – at least in the promotion target. And I think it will be done with something of a swagger too. In short, whatever frailties Bruce might have, I’m willing to forgive him everything if that target is achieved this season. Some really good stuff today (that I had to get my dictionary out for) brilliant stuff, shame I had to work. JC- mate love the avatar, I play a bit of guitar write songs and sing in bands too, I have a lovely Indian Girlfriend and help her take her alzheimer’s patients out around the town for a coffee, I love talking to them in a normal way, you know what? I don’t think people do once they are ill, most have been shoved in the home and are rarely visited, some of them have a right sense of humour once they get going and their eyes spark up, other wise I’m a complete b*****d.
Now about that idiot Bruce……….. I end up fiddling on the guitar mostly, write a tune every now and then. Wish I could make the time to commit to a band…it’s great fun to perform. Well done. It is good conversation, and I do enjoy when people reveal more about themselves. What the conversation has been about is ways and means. At least that’s what I was talking about. Clearly not very well. Now we have back participating Jl, what need now is some pearls from ST75, giving the Steamers point of view. Frem for the young view, and dear Jenny for her knowledge, but also a female angle, and then the blog would back to where we were..!!! Wonder if Monty still passes by?? James Collins is joining Villa for training….. Sorry to overlook your comment. You’re right. Not negative, not positive…just trying to be realistic. Having read all the comments posted while I was in bed it springs to mind that one of our old regulars who is now no longer with us would have contributed to all this mind over matter chat – Jenny Truman. If my brain acts on the impulses of my heart, how would having two mechanical heart valves affect my thinking? I know I constantly hear ticktock ticktoc. But you still have a heart! Actually, as I understand it the brain does not directly (automatically) act on impulses from the heart, it appears the brain (through thinking! – one way or another) selects what it wants according to the status of the brain – i.e. according to your “state of mind”. The calmer the state of mind the better chance of quality thinking. There was a mystic feller from Georgia named Gurdjieff who (a hundred years ago or thereabouts) wrote a trilogy (“Beelzebub’s Tales To His Grandson”) that was sort of pseudo sci-fi in content but he said it was based on truth, including the space travel content. The books are written using a lot of coded phrases and one of those phrases is “3-brained beings”. It’s only of late we came to realise that he was talking about humans whose thinking mechanisms operate through 3 sources – the heart and the two sides of the cranial brain. Back in the 1920s that would have seemed like total science-fiction, but he clearly knew otherwise. And he gained his knowledge from much older sources…..
That fella from Georgia might have been a Mysteron agent. Perhaps that Mysteron agent can tell us some information about Spud’s intentions for tomorrow’s game. Because his pre match presser this morning will be the same old broken record content of all previous ones. Watched the highlights and it looked like Rotherham were defending deep, especially in the first half. We just don’t seem to have the legs to keep pressure on for 90 minutes, it’s always a tale of two halves. Now JL will say its early days yet but it’s been the same story the last season and a half. As some have stated, this comes down to training methods and you read about what managers of high pressing teams do, double sessions, individual coaching, etc. If Villa can transition to this style of play, we would be lethal with the players we’ve got – McGinn, Bolasie, Tammy, Birkir. It’s probably an area where Jack needs to improve (and stay on his feet), no reason why he couldn’t. ‘I don’t mind if you don’t matter’. Now there’s a person with negative views on the villa, all too often. Apparently Bruce was referring to the threat of Forrestieri in his press conference, and not realising that he will not be playing as he is suspended….Well done Steve for doing your homework. Hope all Ok, As JC mentioned in the previous post there is a lot of traffic. I do try to comment more often but as well as work and family commitments there is also the fact that every time it forgets my password. I worked for the M.O.D. for years and never had such complex passwords. Now I am no football brain by means but watching Villa under Bruce as been mainly disappointing and I always feel regardless of the opposition that they show more fight and skill then our selves. As someone mention, we are like over 60’s walk football going forward. I really appreciate what Bruce has done but I also question how much time he actually spends at BMH or does he rely on what the coaching staff recommend in regards of player selection. I feel we need better coaching staff with Bruce being a more man management role as well as his general day to day duties. I do love this site and a massive thank you to John Clark for keeping it going after Warwick Davies absence (Matt Turvey). Reading the comments from the knuckle dragger’s on the FB official site makes reading on a refreshing change and I long may it continue. If you sign in using this box, rather than the one at the beginning of the page, you will see a box where you can keep yourself signed in . Tick this box before you fill in user name and password. the leave a reply box.. Cheers Paul. Realised I can log in via Facebook which is so much easier. Haggis you look good in a blue shirt. When I sign in I have to do it 3 times. Sign in, refresh, refresh. That works for me. I’m guessing that pressers are a necessary evil and aren’t given much thought by the manager. At least he’s not high and mighty like mourhino. Good to see you again, Haggis. My apologies to all for the login stuff. I’m no web genius, and it’s an aging platform. Looking to upgrade/update, and I hope that will make things a bit easier. If it’s any consolation, the site doesn’t really remember me half the time. The gut is also connected to the brain via the heart, your gut biome likes to have a chat about what it wants from you. For breakfast and can produce many mind altering substances and hormones. There’s a parisite that likes to live in cats so when it finds itself in a rodent it makes it suicidal and voila instant cat home. So I suppose you could say there may be more than one mind at work in you for both good and bad , but mostly with a vested interest in keeping you alive via the immune system. Well 4.15 pm in Thailand no posts on here on matchday. I guess people are too busy contemplating their navels after yesterday’s discussions. Well Bruce has been here for 100 games. Without going into the ups & downs of these, the football, or getting strictly personal [good album] – it feels like 100 years. Haven’t looked at much villa stuff this last few days but Bruce has had a proper pop at the press and the fans , really not a good idea after beating Rotherham. If it goes Pete tong he will be slaughtered, silly boy when it looks like we might have a decent team in the making certainly despite all the problems he still has one of the best if not the best squad in this league yet again. Absolutely Clive and unity with the press and fans is far more preferable to him reacting to a bruised ego. The presser where he ends talking about a player being a threat thats suspended says it all, get your mind on the job earn the praise you want. Just saw this beauty, I hope Jedinak does turn out to be a centre half it would save us a lot of trouble but unfairly criticised? I don’t think he has been, Bruce has been questioned for playing him there as the defence has been shambolic at times. One change from midweek Adomah for ElGhazi, no Bolasie shame was looking forward to him playing. Getting a fresh page up now for the match…Should be about 10 minutes. Right, that’s that. Less scrolling for everyone. COYVB.